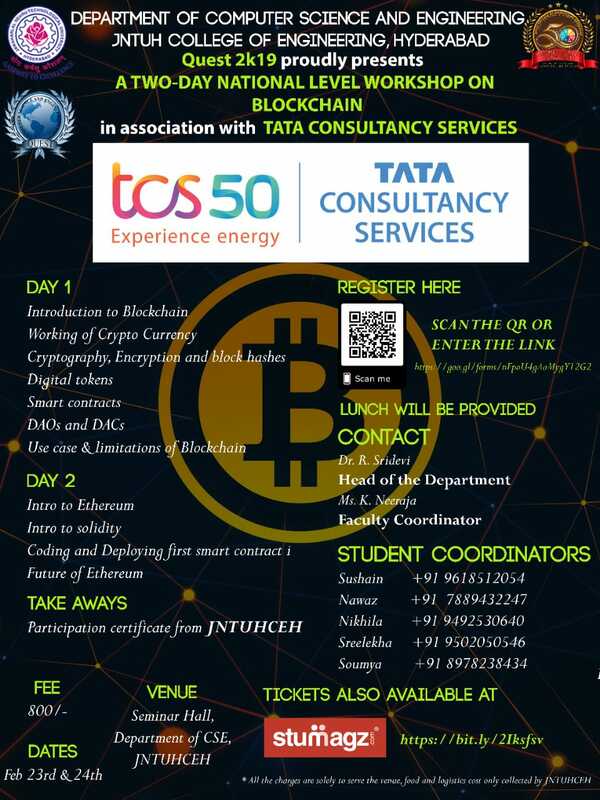 19 15 Jun 2018 One Day National Workshop on Blockchain Technologies on 22nd June 2018. 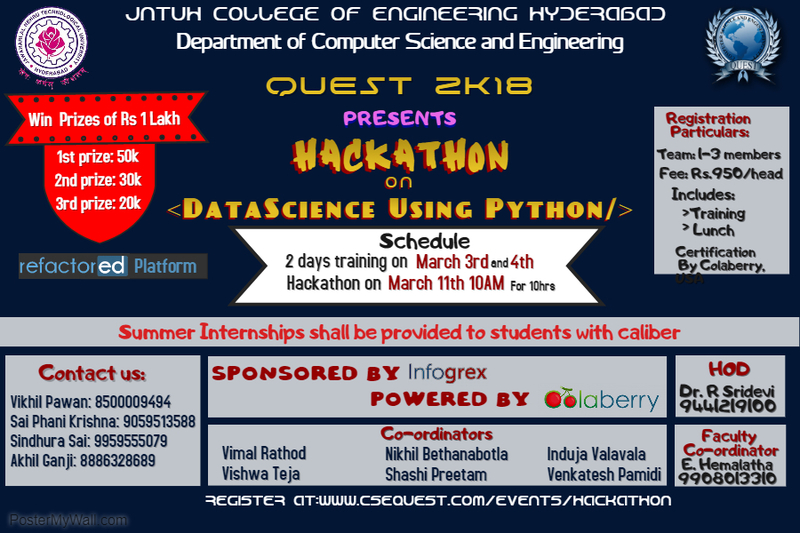 23 27 Feb 2018 A 10hours "HACKATHON" on DATA SCIENCE USING PYTHON on 11th MARCH and Training session on "DATA SCIENCE USING PYTHON" on 3&4th March by DEPARTMENT OF COMPUTER SCIENCE AND ENGINEERING under QUEST 2018. 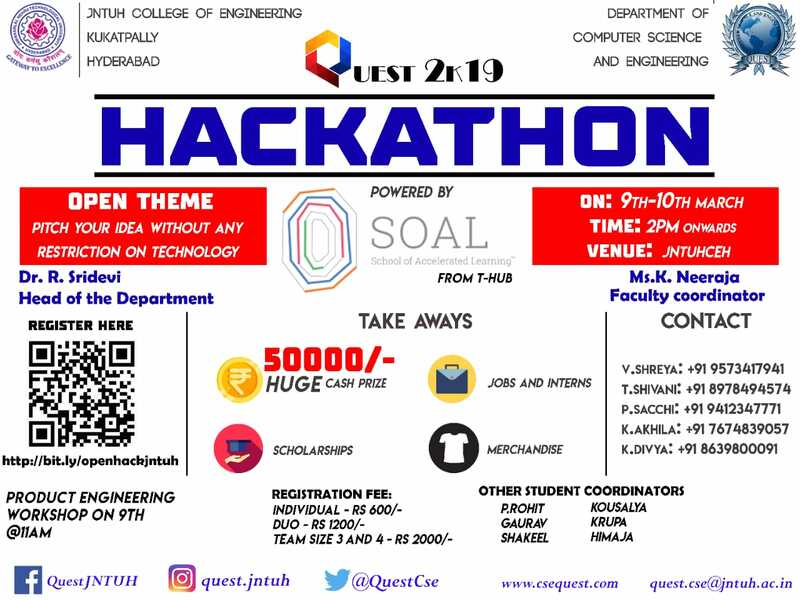 28 25 Jan 2018 A Three day National Level Workshop on Machine Learning and Predictive Analytics Using R-Programming from 22-02-2018 to 24-02-2018. 37 07 Sep 2017 Emerging Trends and Innovations in Pharmaceutical Science ETIPS-2017 on 6th & 7th October 2017. 47 07 Mar 2017 Workshop by IMEI for the benifit of the youth focusing on the healthy mindset. 50 25 May 2016 International Conference on Recent Advances in Chemistry And Chemical Engineering (ICRACACE-16), July 11-13, 2016.